What if you could bring a master-teacher into your home? 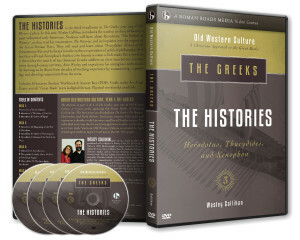 Wes Callihan has inspired a generation of young students through his live online classes (Schola Classical Tutorials). 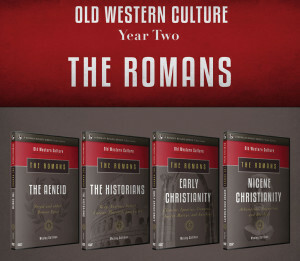 Roman Roads Media now brings those years of experience to the screen with the Old Western Culture curriculum. The Republic: A Real City? By Daniel Foucachon on Posted on January 31, 2014 • Leave a comment on The Republic: A Real City? Wes Callihan explains that Plato’s Republic is not about a real city, or a blueprint for a real city, but rather a picture of the human soul, and how the soul should work. Many people throughout history have mistakenly treated Plato’s Republic as a guide to the perfect physical city, which is a gross mistake, and not what Plato had in mind. 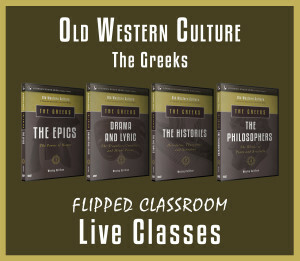 This is an excerpt from The Philosophers, unit 4 of The Greeks in the Old Western Culture series, a great books video course for high school students. YouTube version HERE. 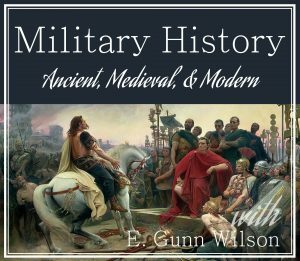 In this excerpt from The Philosophers, unit 4 of The Greeks (Old Western Culture series on the Great Books of Western Civilization), Wes Callihan talks about how imaginative literature is like bootcamp for life. Children get to practice the emotions of life, such as pity, terror, pain, guilt, love, redemption, heroism, glory, honor, shame, etc. in stories. In literature we don’t have the demands for action on us the way we do in real life, giving us the opportunity to meditate on those emotions, and what is right and wrong, from a distance.